It’s been a long, mysterious, and at times frustrating past couple of weeks for WWE fans, as there really hasn’t been much of an update on Daniel Bryan’s health. There were reports of him suffering a concussion, and there were reports that he was “banged up.” But, none of them were ever verified. WWE even offered an update on Daniel Bryan’s status a couple of weeks ago on their website, and even that update wasn’t much of an update. 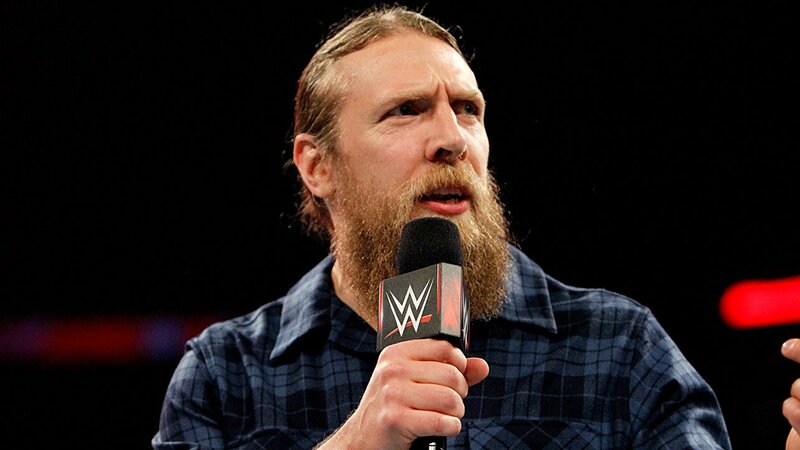 Daniel Bryan was advertised for tonight’s RAW at the U.S. Bank Arena in Cincinnati, Ohio, and it was promised that he would give an update on his condition, and he certainly did. At the top of the third hour of tonight’s RAW, Daniel Bryan — who is the current Intercontinental Champion — made his way to the ring. The crowd in Cincinnati loved Bryan and popped huge when his music hit. Bryan began by telling the crowd that he had been in and out of doctors’ offices over the past couple of weeks and that he needed to be in front of the WWE fans. Long story short: Bryan then told the fans that he had an MRI last week and that the doctors told him that they don’t know how long he’ll be out of action. They said that Bryan could miss weeks, months, or a year. It’s also quite possible that he’ll never be able to wrestle again. Bryan then ended the segment by relinquishing the Intercontinental Championship and left it in the center of the ring. Last year at WrestleMania 30, Daniel Bryan fulfilled a lifelong dream and won the WWE World Heavyweight Championship after making Batista tap out. Several months later, Bryan — like he did tonight — had to relinquish that title and ended up missing nearly eight months of action. When Bryan won the Intercontinental Championship at this year’s WrestleMania 31, the idea was that Bryan would add some life to the title, and that he would put it back on the level it was at in the late 80s and 90s. Bryan only ended up defending the title a handful of times, and due to him missing so much time, the IC Title didn’t pick up as much steam as WWE hoped it would. It’s expected that WWE will have an Intercontinental Championship match at this Sunday’s WWE Payback pay-per-view, but WWE hasn’t yet announced the participants. It’s quite possible that the title could be added to either the Dolph Ziggler vs. Sheamus match or the Bad News Barrett vs. Neville match.